Part of this relates to last year's changes to CFIUS, which used to focus on foreign entities buying control of U.S. companies in a way that could pose national security concerns. Companies caught up by CFIUS traditionally have been involved in sectors like metals, infrastructure and semiconductors. But we've also seen it begin to expand into the much broader area of digital data. For example, CFIUS this year is requiring Chinese majority owners to sell both gay dating app Grindr and digital health network PatientsLikeMe. This not only means sales, but even foreign nationals involved in product development. For example, imagine a California startup that has Chinese engineers on H1-B visas. The company, arguably, could need an export license for those engineers to work on something like AI software. 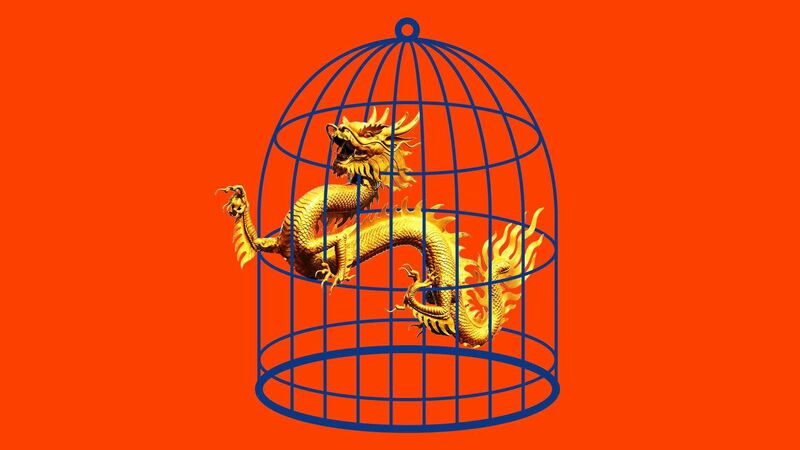 President Trump recently criticized Google for allegedly helping the Chinese military instead of the U.S. military, before being persuaded otherwise by Google CEO Sundar Pichai. • Scoop: The U.S. Treasury Department last Thursday announced the resignation of Eli Miller, who served as Sec. Steve Mnuchin's chief of staff and closest advisor. Axios has learned that Miller's next stop will be The Blackstone Group, the private equity giant led by occasional Trump advisor Steve Schwarzman, to work on public policy. • Best laid plans... Sequoia Capital last year began raising a massive growth equity fund that wasn't intended to directly compete with SoftBank Vision Fund, but which was supposed to help its portfolio companies avoid the Japanese giant. Since then, at least three Sequoia portfolio companies have raised large rounds led by SVF. The latest is Klook, a Hong Kong-based travel activities booking platform, which yesterday announced an SVF-led $225 million infusion. The others were DoorDash and Clutter. 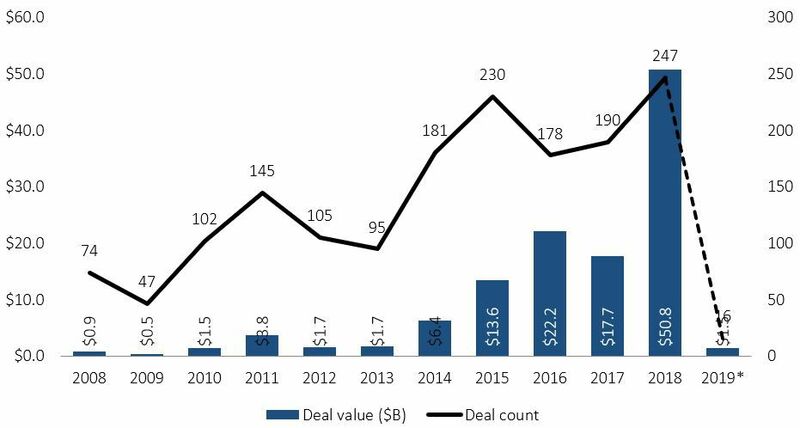 • Deal data: Venture capitalists disbursed $32.6 billion via 1,843 deals in Q1 2019, a 10.5% increase and 22.5% decrease from Q1 2018, per data released this morning by PitchBook and the NVCA. 🎧 Pro Rata Podcast: Our new episode focuses on the future of American capitalism and how it may play in the presidential election. Listen here. We've also posted the latest PRP interview with a 2020 presidential candidate. This time it's Mirimar, Fla. Mayor Wayne Messam, whose campaign platform includes student loan forgiveness. Here you go. Wynn Resorts (Nasdaq: WYNN) offered to buy Australian casino operator Crown Resorts for US$7.1 billion, or A$14.75 per share (26% premium to yesterday's closing price). Then, within the past hour, it said it was terminating talks because deal details leaked. Why it's the BFD: Wynn Resorts has been on the ropes since last year's ouster of founder Steve Wynn over sexual assault allegations, and buying Crown could help it become too large to digest for acquisitive Las Vegas rivals. Plus, it reflects a weakening gaming market in Macau, which is currently Wynn's only Asia location. Bottom line: If the deal made strategic sense for Wynn before the talks leaked, then it still makes strategic sense one day later. And Crown has been under its own pressures, so don't be surprised if Wynn's pullback is only temporary. Brigham Materials, an Austin, Texas-based owner of oil and gas mineral royalty interests, set IPO terms to 13.5 million shares at $15-$18. It would have an initial market cap of $785 million, were it to price in the middle, and plans to trade on the NYSE (MNRL) with Credit Suisse as lead underwriter. Shareholders include Warburg Pincus and Yorktown Partners. 🚑 So-Young International, a Chinese online marketplace for plastic surgery services, filed for a $150 million IPO. It plans to trade on the Nasdaq (SY) with Deutsche Bank and CICC as lead underwriters, and reports $8 million of net income on $90 million in revenue for 2018. Shareholders include Matrix Partners China, Trustbridge Partners and Orchid Asia. • Wells Fargo (NYSE: WFC) agreed to sell its institutional retirement and trust business to Principal Financial Group (Nasdaq: PFG), for $1.2 billion. Source: PitchBook. Data through 4/8/19 and includes both deals with some U.S. investors and deals with U.S. investors only.